For decades, the debate surrounding the long-term benefits of early childhood education has been ongoing. While lack of funding was a longtime concern for those in favor of high-quality early childhood education, in 2015, preschool programs across 42 states and the District of Columbia received $6.2 billion in state funding, according to Brookings Now. Although the figure may sound impressive, it does not necessarily secure the future of universal preschool programs across the country. Investments and support continue to change with each new administration and until now, the majority of studies have not shown strong enough outcomes for funding high-quality early education. While the debate continues to swirl, data from a study of 4,000 school children from Tulsa, Oklahoma, can confirm that high-quality early childhood education does pave the way for cognitive success. A study that has spanned more than a decade, following students from pre-K through eighth grade, has found positive outcomes among these students who received first-rate education from early on. A child to staff ratio of 10 to 1 is required. Educators must be early childhood certified. Educators must have a B.A. degree. Through large-scale, state-wide classroom observations, the researchers established that the pre-K program of Tulsa Public Schools strictly followed the above guidelines. Study authors noted that the length of the program's existence at the time of the study was a contributing factor to its success. When the preschoolers were first observed during the 2005 to 2006 school year, 68 percent of Oklahoma's four-year-olds were enrolled. Moreover, Tulsa is racially and ethnically diverse, which the researchers emphasized as a strong region for research. Georgetown researchers have concluded that a high-quality pre-K education has long-term benefits. 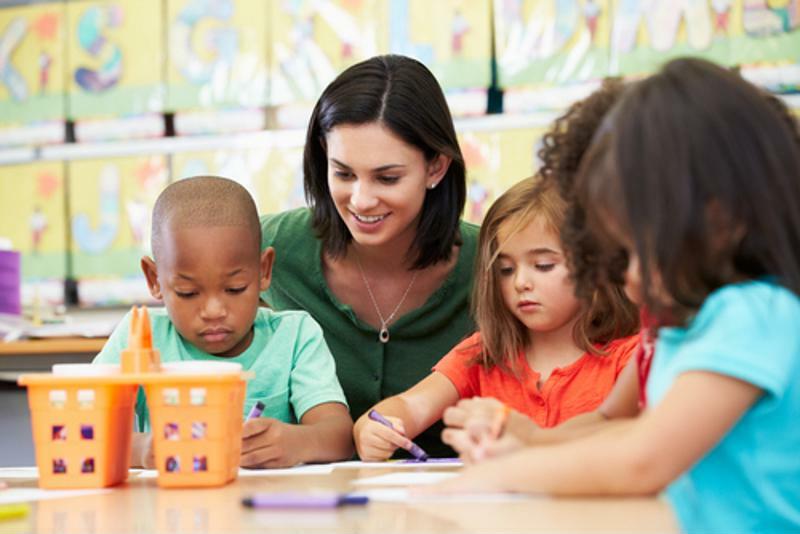 Published in the Journal of Policy Analysis and Management on Dec. 12, the report confirmed that, "positive effects of a high-quality pre-K program are discernible as late as middle school." Reporting on the study, The New York Times highlighted several key differences in educational advancement in an article that was also posted on the National Institute for Early Childhood Research's webpage. Academically, the school children in the study were already more advanced than their classmates by the time they reached kindergarten. The academic subject found to be most impacted by a high-quality preschool program was math. Once in middle school, Tulsa students were scoring higher on math exams than their counterparts who did not attend pre-K and were also more likely to enroll for algebra in eighth grade. There was also a strong correlation between enrollment in honors courses and a high-quality early childhood education. Another significant finding was that by the time these students had reached the eighth grade, the chances of being held back were not as high as those of their peers. Classroom preparedness wasn't the only benefit. The study also forecast the effect of pre-K enrollment on these students as adults later in life, reported The New York Times. Based on the data, it is expected that these students are less likely to be in trouble with the law and are likely to receive higher incomes. Furthermore, the W.E. Upjohn Institute produced a benefit-cost analysis working paper on the Tulsa early childhood education program using data from the study. The report concluded that for each dollar of funding for high-quality pre-K, there could be a $2 return. As NPR reported this week, this long-term study is the first of its kind that indicates a positive outcome for children that begin their lifelong education with a universal pre-K program. The difference was so noticeable that elementary and middle school teachers have told the team of researchers that they are quickly able to identify which students were enrolled in the pre-K program and which were not, William Gormley, one of the lead researchers and a professor of public policy at Georgetown told NPR. "The Tusla teachers spoke with students, not at them." One of the key reasons for the success, according to the researchers, were the early childhood educators themselves. According to a data point highlighted by The New York Times, the Tulsa teachers not only spent more time on academic subjects, but were also more likely to interact with students on their level, rather than talking down to them. This was compared to early childhood educators across 11 other states. Moreover, in Oklahoma, these pre-K teachers are paid the same as high school teachers because they work within the public school system. As a result, these teachers are more likely to remain in the school year after year, which helps greatly with continuity. Compared to preschool teachers in many other states that receive low salaries, this has shown to have an important impact in Tulsa. Having engaged, dedicated early childhood educators can make a world of difference for students. Unfortunately, despite these findings, a recent decision concluded that the state will take away funding from K-12 education in Oklahoma, Gormley told NPR. However, the research will continue regardless. The Georgetown team will now analyze the impact of high-quality early education on high school performance and success.